This is a 1942 vintage original pin-up print by Victor Tchetchet, not a modern reproduction. It features a breezy bathing beauty in an early bikini and matching sun hat. 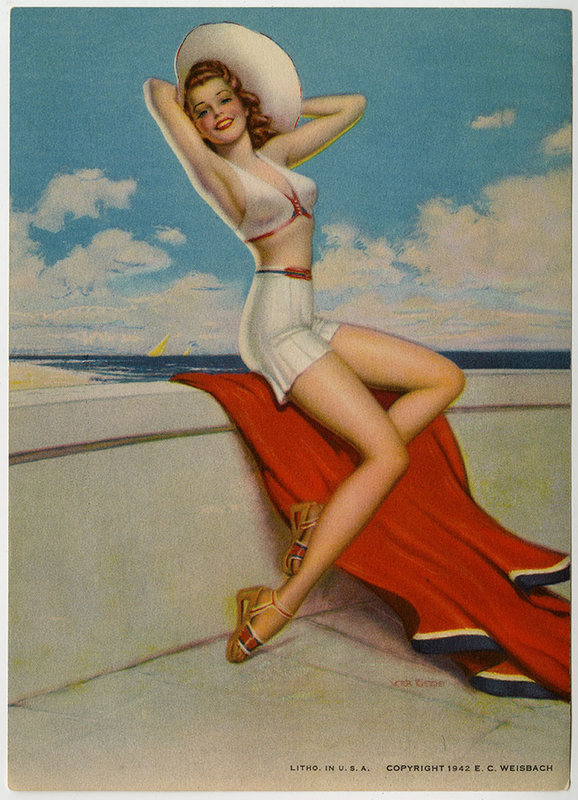 A radiant art deco view of the vivacious beauty who is seen posed along the seashore. CONDITION: Fine condition with softening at the corners. Provenance-Grapefruit Moon Gallery.